Marriages and families are falling apart. Parents and children often do not get along with each other. Misunderstanding runs rampant at all levels of society. Learning the basic tenets of the Four Temperaments Theory can be a useful tool in understanding and appreciating who we are and why we differ from each other. 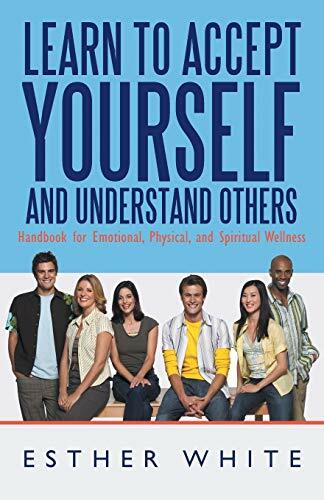 In Learn to Accept Yourself and Understand Others, author Esther White explains the Four Temperaments Theory that was initially developed and defined by Hippocrates. In this study of inherited personality and human behavior, White: Reviews the history of and provides an overview of the Four Temperaments Theory Discusses the strengths and weaknesses of the temperaments Compares the temperaments to personality Shows how temperament affects daily activities, family, outside relationships, and work Explains the Spiritual Temperaments Theory White shows how understanding the temperaments can help raise self-esteem and improve relationships, and how it is a useful tool to recognize, appreciate, and celebrate our differences. Esther White has taught home school students, private high school students, GED students and adult education classes. She has served on the State of Maine Alternative Education Curriculum Advisory Panel. White conducts seminars on the Four Temperaments Theory. She lives in Western Maine.